Client is an owner-operator of resorts hotels all over the US, with a concentration on waterfront properties. With the loan maturity date approaching, the Client wanted to refinance the property to produce net proceeds sufficient to unlock trapped equity and lower their interest rate. While the property is a clear leader in its class in the local market and is maintained at a very high competitive level, it is subject to a partial aquatics lease and operates at metrics that are some of the highest in the US. DSC sourced and closed a new 10/25, non-recourse permanent loan at a loan amount and interest rate that accomplished all of the Client’s goals. 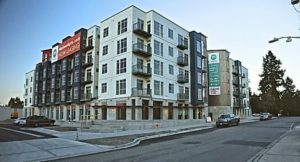 Client was near completion of Phase I of a two-phase multi-family, high-rise development in a major urban infill submarket. Client wanted to commence construction of Phase II immediately after completing Phase I, but didn’t want to take on any equity partners. DSC sourced and closed a non-recourse, bridge loan at full proceeds “as-if-stabilized”, closing at completion of construction with no leasing in place. Client was able to use the cash equity from the bridge loan to close a construction loan on Phase II – thereby commencing construction 9 months sooner than if it had waited for Phase I to stabilize and season. 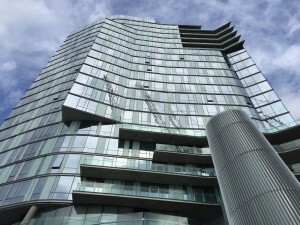 The footnote to this case study is that DSC subsequently refinanced this $42.0 million bridge loan with a $44.0 million 8.5/30, non-recourse permanent fixed rate loan with a Life Insurance Company lender. In the end the Client was able to get this development built and stabilized as quickly as possible without taking on a JV equity partner(s) with whom they would have had to share profit and project control. 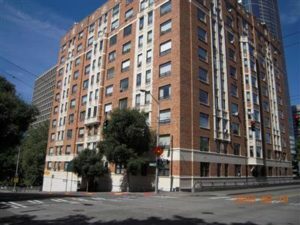 Client was under contract to acquire a 110-unit, landmark senior housing project in an irreplaceable location near Downtown Seattle. 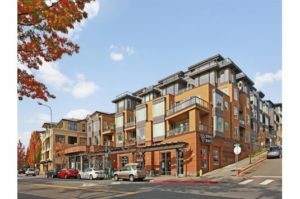 The plan was to execute an expedited, efficient renovation plan to change the cosmetics of the building, improve the ground floor commercial space and to convert the property to a 120-unit, market rate apartment building. The Client did not want bridge or construction financing, despite the fact that most lenders viewed this acquisition and renovation loan as a candidate for construction or bridge financing only. DSC was able to source and close a Life Insurance Company 10/30 permanent loan funded fully at acquisition of the property with competitive pricing and full term IO, using an interest reserve and recourse to bridge the gap between acquisition and stabilization. 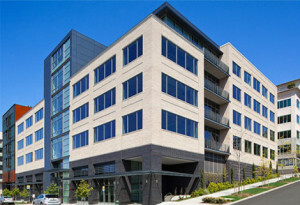 Client was under contract to acquire a 2008 vintage, 85,000 SF office building in an urban infill location in Seattle. 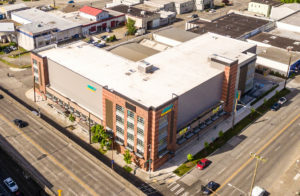 The primary office tenant was growing rapidly and had a very good reputation, but its financial statement was unproven given the young age of the company and the length of its newly signed 15-year lease at the property. Client wanted a fixed rate, non-recourse permanent loan at the lowest possible rate with prepay flexibility in case Client wanted to sell the asset. DSC secured and closed a full proceeds, 7/25, non-recourse Life Insurance Company loan open for prepay the last 3 years and with reduced prepay in years 2-4. Client is local developer and owner that had earmarked its soon-to-be-completed, institutional quality apartment building as a long-term hold. Due to warnings of imminent interest rate increases in the national news at the time, Client wanted to lock rate and fully fund prior to lease-up. DSC sourced and closed with one of its correspondent Life Insurance Company lenders a non-recourse, competitively priced, permanent loan that was funded at full proceeds “as if stabilized” even thought he property was only 60% leased at closing. In addition, DSC also structured a 120-day forward interest rate lock giving the Client the option when to start the forward rate lock period after executing the application. This creatively engineered, yet very flexible loan gave the Client the exact structure it needed to achieve all of its goals. Client needed to use equity it had created in its existing facility still in lease-up to commence construction on a new planned facility. While typical floating rate bridge financing would have released the required equity, the Client did not want the interest rate risk of a bridge loan nor the additional transaction costs that would result from takeout of the bridge loan. DSC was able to source and close a Life Insurance Company fixed-rate, permanent loan at proceeds equivalent to 125% of Client’s actual development cost, funded upon the property reaching 60% leasing – providing the client with the equity and liquidity it needed to finance its planned project and the competitive interest rate and terms it required to provide long term interest rate protection and cash flow for the existing facility. 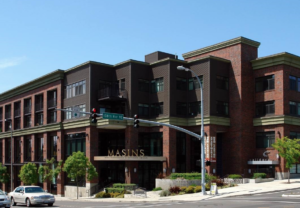 Client was restructuring its partnership on a prime infill mixed-use project and needed to refinance an existing permanent loan that was months away from its maturity date. The newly formed partnership wanted term on the loan but also didn’t want to face punitive prepayment penalties if they decided to sell in the midterm. In addition, the primary commercial tenant’s lease was rolling over in less than 2 years and the tenant was unwilling to commit to an extension. DSC was able to secure a 15/30, non-recourse loan, with 5 years of fixed interest rate and 3 years of interest only payment and no holdbacks or reserves. The Client received the proceeds it desired, increased its net cash flow due to the low interest rate and interest only period and received the 10+ year loan term it wanted with floating rate flexibility after 5 years. Client is a local family that has owned the property for more than 75 years and has no plans to sell. Their primary goals were to fund a capital reserve account to cover future building system upgrades, lock in the interest rate for 10+ years and to maximize net cash flow for distributions. The property is extremely well located but has some physical limitations due to its age. DSC was able to source and close a 13/30 (Fixed for 10) non-recourse loan with no reserves at proceeds sufficient to fund the client’s capital budget and an interest rate low enough to provide ample cash flow for distribution. Client needed a quick close for a 1031 exchange acquisition. While the property is located in a strong submarket and has a good operating history, the units are very large and rent increases run up against gross rent ceilings. In addition, the property is subject to a ground lease. DSC was able to source a 10-year fixed rate loan at investment grade bond pricing levels with a Life Insurance Company with interest only payments for the entire term. In addition, DSC was able to forward lock that rate at application and close within 45 days. 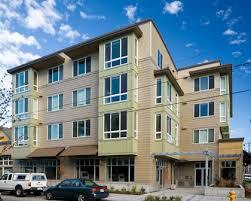 Client was under contract to acquire a brand new apartment building located in an excellent infill location in Seattle. Although the property was recently completed and fully leased, it was being acquired at a record pricing levels and client required maximum net cash flow with midterm pre-pay flexibility. DSC sourced and closed a 20/30 permanent loan with 7 years of fixed interest rate with interest only payments throughout the fixed period. The low interest rate and interest only payments provided the client with positive leverage on cash flow despite the low acquisition cap rate. Client is a local family that co-developed its 50+ year owned land parcel into a mid-sized, well located apartment building. The family had no desire to sell the asset and their goal was long-term fixed rate financing that would provide them with enough net proceeds to consolidate and payoff other family debt while locking into historically low interest rates for 15 years or more. DSC sourced a 35-year, fixed rate HUD permanent loan at the desired loan amount providing the client with long-term security and true non-recourse financing with no carveouts. © 2018 DSC Capital. All rights reserved.